Can you find the cat? Animal Lover’s League of Glen Cove. February 24, 2014 Spiffy Kitty House Call Cat GroomingLeave a Comment on Can you find the cat? Animal Lover’s League of Glen Cove. 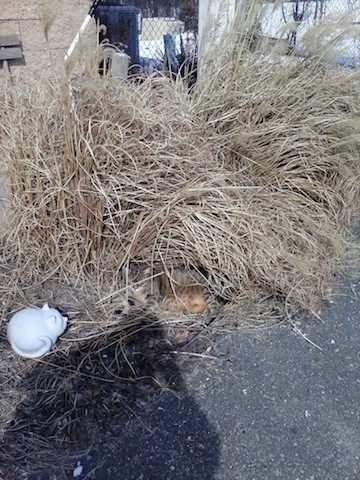 This is a feral cat who lives outside the Animal Lover’s League of Glen Cove. The League does Trap-Neuter-Return. Next Arthritis common in cats. Pay attention to their movements.